Eric Terrien has won another SUP race in France, surprising absolutely nobody but showing he’s in good form ahead of a big month on the road. 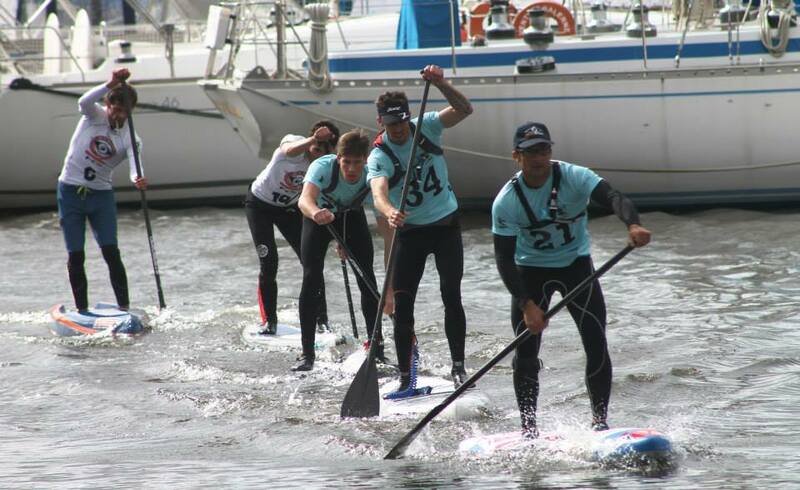 Eric took out the Raid Paddle Race yesterday in the west coast city of Vannes, pushing his new (and very uniquely coloured) 12’6 race board clear of a strong field, eventually finishing half a minute in front of rising star Arthur Daniel. Eric’s original French sparring partner, Gaetene Sene, was third and the rehabilitated Greg Closier claimed fourth. Meanwhile Faustine Merret took out the women’s race on the weekend, in an event that drew 103 paddlers on a chilly late-winter’s afternoon, proving again that SUP racing in France is growing stronger and stronger. There was little time for Eric to celebrate though; today he starts his travel to Brazil where he’ll compete in the World Series opener next week. After that it’s straight to Abu Dubai for the All Stars event, before a brief pit-stop at home and then another trans-Atlantic flight, this time to Nicaragua where in early May he’ll be representing France for the third straight year at the ISA Worlds. GetUp SUP Mag has a good recap (which you can also read in Google English) and there are more pics on the official Facebook page.